The public beta for the next big release of iOS, announced by Apple at WWDC earlier this month, is finally live. 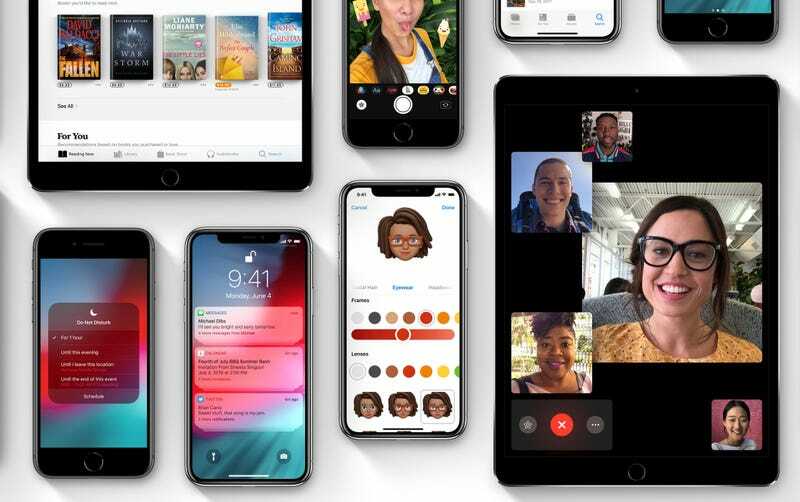 That means if you’re willing to turn your iPhone into a buggy mess, you can get a taste of what’s to come with iOS 12 a good four to five months ahead of everyone else. This year was pretty light for iOS, with most of Apple’s efforts seeming to be poured into iOS stability and macOS Mojave instead. Still, apps should launch faster and photos should be easier to find. iOS 12 also has some nice customization options. You can create your own custom animoji if you have an iPhone X. If you’d prefer to be productive, you can create your own custom Siri skills. There’s even a new feature that tracks how much time you spend on your phones and inside what apps—in case you want to shame yourself. But the coolest features in iOS 12 are the tiny hidden ones. There’s an entire new feature that warns you if you’re reusing a password and lets you scroll through and see how many accounts are currently using the same password. There’s also the ability to instantly copy and insert passcodes sent via SMS or Messages—like the authentication code to sign into Twitter. And my personal favorite: a way more detailed battery readout. The public beta for tvOS, which brings Dolby Atmos to the AppleTV, is also live as we speak. The public beta for the highly anticipated macOS update, Mojave, still doesn’t seem to be available, but it’s no doubt not far behind. To sign up for these public betas, you can enroll here. But be forewarned, a beta isn’t finalized software for a reason. Expect problems and more inconsistencies than you’re probably accustomed to.